In my last column, I wrote about copyrighting and how to protect your business from a copyright lawsuit by understanding image use rules on the Web. In this column, I’m going to tell you about a word that sounds exactly the same, but has a completely different meaning: copywriting. In the world of online (digital) marketing, copywriting is used to create content for Web pages, blog articles, social media status updates, press releases and advertisements. Copywriters are people who strategically write text that promotes products or services, informs and educates consumers and also works to grab the attention of search engines like Google, Bing and Yahoo. When it comes to Internet marketing, having your website positioned on the first page of a Google search is the goal, right? Google is one of the major search engine players, so showing up near the top of their first page of results is a huge bonus. First-page positioning generally leads to more website visits than other sites that show up further down the list of search results. In the second half of 2013, Google changed the way they find and share results when people search for things online. 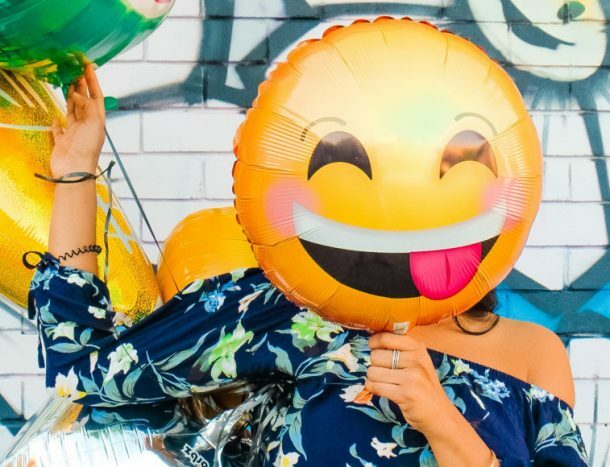 When their “Hummingbird” update took effect, some search engine optimization (SEO) tips and tricks that had been used to generate visits to websites stopped working. As a result, some businesses noticed their websites moving down the page on Google search and the number of visits to their website dropping. With Hummingbird, it was reported that Google began paying more attention to websites that had original and meaningful content and less attention to websites that were stagnant. Even at PR Consulting we noticed this to be true late in 2013. 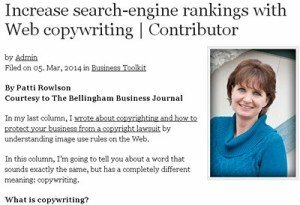 Whatcom County clients we had been copywriting blog articles for began seeing noticeable improvements in their local search rankings. Other sites that had not changed or added content for months began to see fewer visitors. The latest Google update means that businesses can no longer afford to build a website and leave it untouched for extended periods of time. We now have to prove to search engines that our websites are fresh and active by providing new content on a consistent basis. 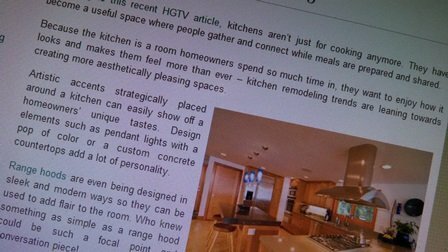 Freshening up a website can be achieved by editing text on existing Web pages, by adding content to new Web pages and by incorporating a blog on the site. Blogging, even if it’s just once a month, can help. If time is somewhat limited, partnering with a copywriter to help with content editing or blogging may be a better option. If it has been a while since you checked how your business ranks in online search results, today is a great day to take a look. Hop over to Google and perform a keyword search of phrases related to the products or services you sell, including industry terms and geographical locations. If your website does not appear on the first page, turning your focus to content creation and copywriting may be a helpful way to improve your digital marketing efforts.